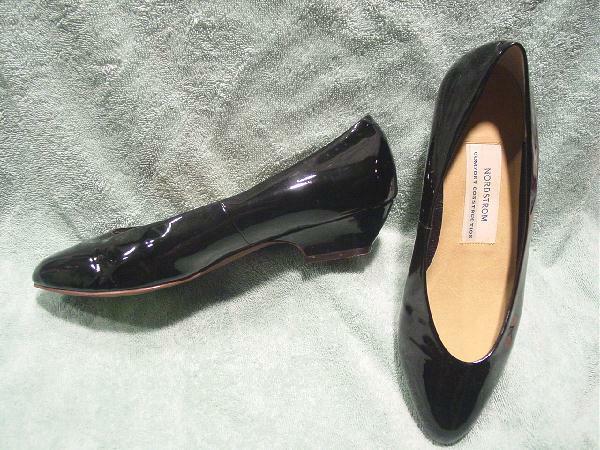 These black patent leather shoes have modified pointed toes. 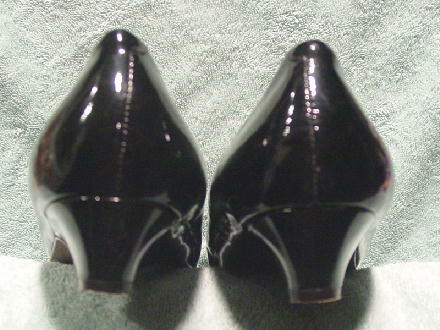 The vamps have wrinkles on the inner sides and the soles are manmade. There are a few light scuff marks, but they're hard to see because the shoes are shiny. The lighter areas on the shoes in the pictures are from the flash. They were worn in photos for a model's portfolio.